The New England Patriots are back in the Super Bowl, seeking their sixth championship with Head Coach Bill Belichick and quarterback Tom Brady at the helm. They have reached the Super Bowl a record nine times in 18 years. 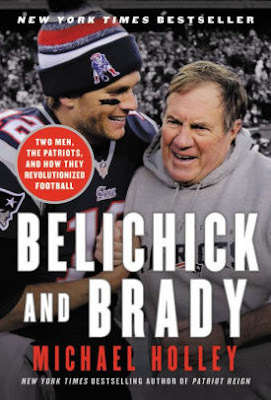 A couple of recent books on the pair include Belichick: The Making of the Greatest Football Coach of All Time by Ian O'Connor, and Belichick And Brady: Two Men, the Patriots, and How They Revolutionized Football by Michael Holley. Their head coach, Bill Belichick, and quarterback, Tom Brady, have combined to win five Super Bowls, the record for a coach-quarterback duo. The Patriots captured their fifth championship this past February, with a stirring comeback from 28-3 down against the Atlanta Falcons in Super Bowl LI. That win prompted a new "Championship Edition" of Michael Holley's work, Belichick and Brady. Holley was a Boston Globe sportswriter for ten years and co-hosts Dale and Holley on Boston sports radio station WEEI. 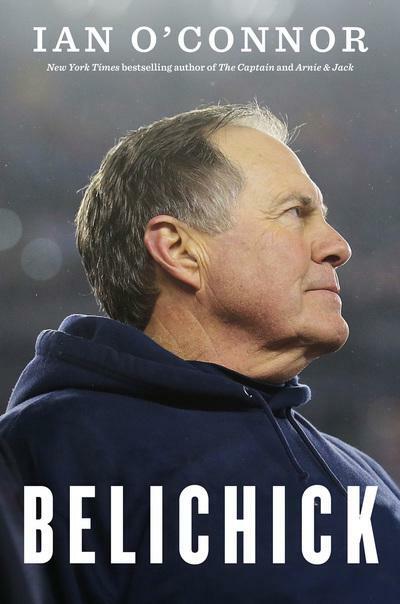 He has made himself into an authority on the Patriots, with such books as Patriot Reign from 2004, which looked at what makes the Patriots organization tick and win, and In War Room from 2011, which explored the draft and personnel strategy that make the Patriots a consistent winner, unlike the Giants, for example. This work explores the history of this historic partnership, from the "Tuck rule" game, in which the Patriots beat the Oakland Raiders in Belichick and Brady's first playoff game, through all the close Super Bowl wins, to "Spygate," to the nearly perfect season in 2007, to their personal lives, and to all the other stalwarts. like owner Robert Kraft and players such as Tedy Bruschi and Rob Gronkowski, that made these teams a success. Holley writes of the Patriots' comeback in Super Bowl LI, specifically Julian Edelman's big catch, "Brady looked over the middle of the field and tried to guide a throw in to Edelman. Alford, the menace cornerback from the second quarter, tipped the ball in the air and redirected it. Edelman has drawn a crowd now, three defenders in Falcons red, all swarming toward the football. The receiver kept his eye on the ball, though; as he fell to the ground he tipped the ball and kept it an inch above the turf and into his hands. "The Falcons waved wildly that the pass was incomplete, and pointed to the giant video board in the stadium for confirmation. Edleman calmly told his teammates that he caught it. (Falcons coach Dan) Quinn, trying everything he could to slow the march toward the end zone, threw a coach's challenge flag to dispute the ruling of a completed catch. He lost the challenge, and he and everyone associated with Atlanta began to understand that it wasn't the only thing that would be lost in the fourth quarter. The official gain was twenty-three yards. Twenty more yards came on the next play, Brady to (Danny) Amendola, and now two more minutes remained in the game. "There had never been a Super Bowl like this, with the wipeout of such a large lead. There had never been overtime in the fifty-year history of the game. For that matter, there had never been a team like the Patriots, revered and reviled nationally, a team that couldn't be held under the commissioner's legislative thumb. "Overtime, unofficially, was won when of the Patriots' captains, Matthew Slater, called heads on the coin toss. The flip of the coin indeed came up heads, and the Patriots received the ball and never gave it back. They went down the field without resistance and sent the stadium and nation into a frenzy when (James) White, once again, took a toss and powered into the end zone for the winning score." 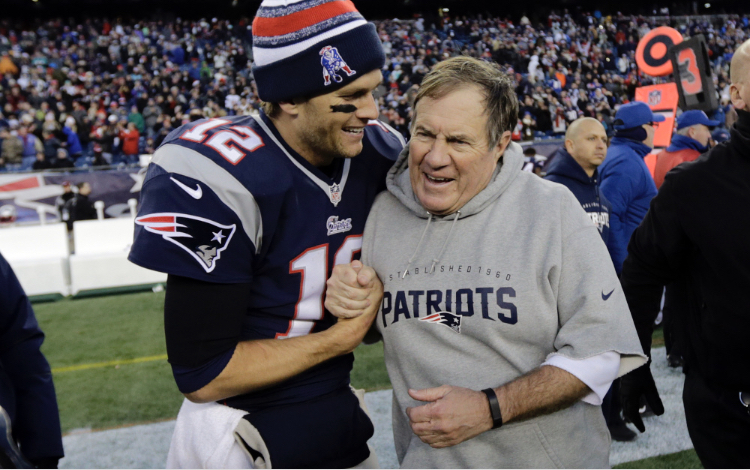 Belichick and Brady not only have the most Super Bowl wins for a coach-quarterback combo, but they also have the most victories overall. Brady has played for Belichick his entire career, and has won 77 percent of his games, more than other legendary quarterbacks such as Roger Staubach (74%), Joe Montana (71%), and Peyton Manning (70%). Questions explored in this book include: How did this happen? How have they been able to sustain a winning record, and how long will they be able to continue to do this? What were some of the challenges that threatened the staying power of this historic partnership? It is instructive to read this work to remind yourself how bad a spot the Patriots were in when they lured Belichick from the Jets in 2000. Holley writes, "They were millions of dollars over the projected salary cap. They finished last in their division, five games worse than the Indianapolis Colts and star quarterback Peyton Manning. They were awarded extra draft picks from the New York Jets, as compensation for former coach Bill Parcells going there, but even that felt like a wasted opportunity. They used the picks because they had them, but the selections were random and lacked vision. Most of the kids they drafted couldn't play, and a couple of young veterans that they liked, Tedy Bruschi, twenty-six, and Troy Brown, twenty-eight, were free agents. There wasn't a lot for a new coach to look forward to. "(Patriots owner Robert) Kraft would deal with that later. Three days into the twenty-first century, when the owner fired coach Pete Carroll, he gave a brief statement that looked and sounded like dozens of others delivered by some of his disillusioned colleagues. "The change happened three weeks later when Kraft hired Bill Belichick, who had spent the previous four seasons as an assistant coach to Parcells. It was a momentum change for Belichick, too, who had worked for Parcells a total of twelve seasons. That was exactly half of his NFL existence. He had his own ideas and personality, but they were often muted by the policy and personality of Parcells. But Kraft's move, which required the Patriots to relinquish their first-round draft pick in 2000, wasn't just about momentum. It was the beginning of a partnership that forever changed the Patriots, New England, and all of football. It would lead to coverage, both fawning and withering, unlike anything in the history of professional sports. No, it wasn't a momentum change. It was a generational shift." Belichick and Brady is a must-have for football fans, Patriots supporters, and anyone that wants to read about two of the greats.